As most parents of kids in sports know, the highlight of ANY game, especially when kids are very young, is when the game is over and it’s SNACK TIME! 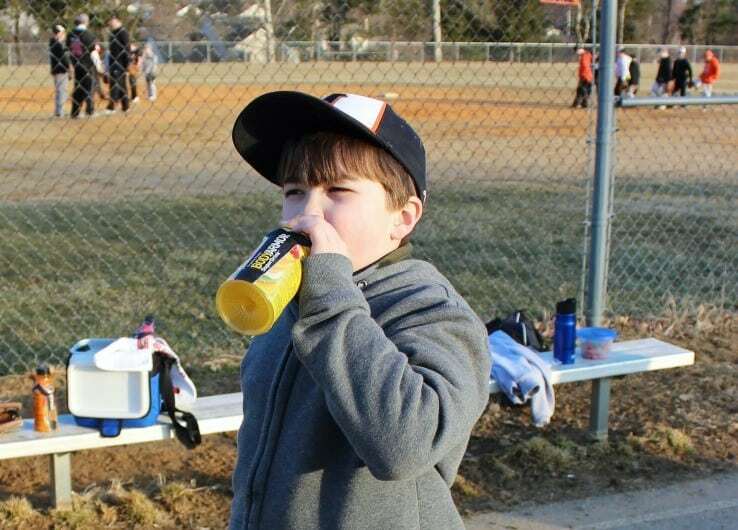 But one thing that I’ve never felt totally comfortable with is the most common after-game drink of choice: juice boxes. Juice boxes are only typically about 6 ounces of actual drink per serving. Not much to satisfy anybody’s thirst after playing hard. Considering the little bit of juice that is in the pouch, the amount of sugar (16 grams) is somewhat high. And on top of that, there isn’t anything in a juice box that benefits our little aspiring athletes. 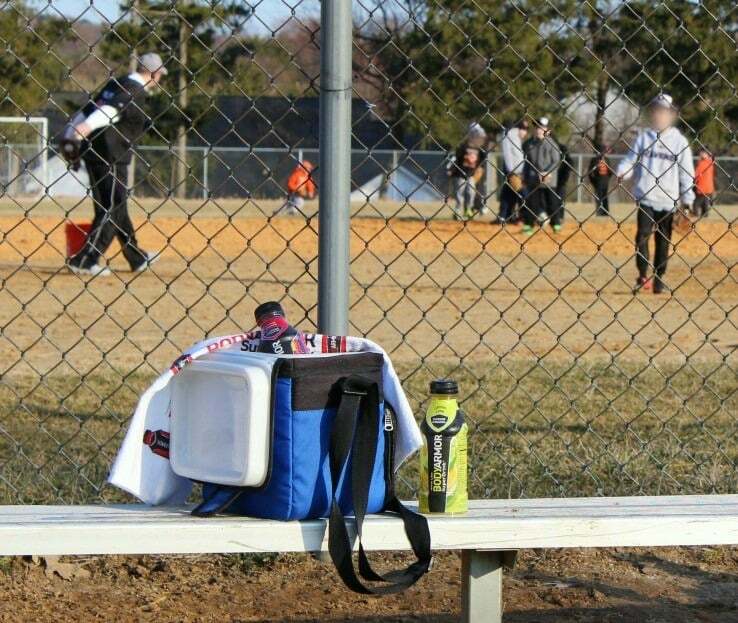 This is why I feel better offering kids a sports drink that will actually replenish electrolytes after all of that hard playing and sweating. Introducing the new BODYARMOR Sports Drink. 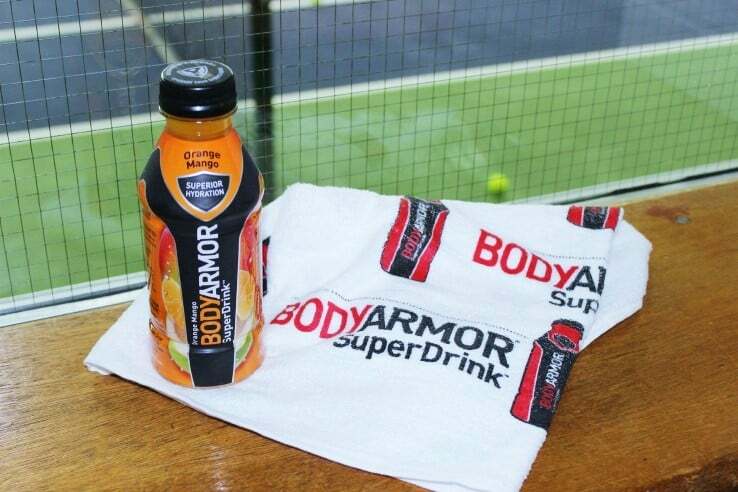 BODYARMOR Sports Drink contains potassium packed electrolytes, vitamins, and coconut water. It’s also low in sodium and doesn’t contain anything artificial, like other sports drinks out there. 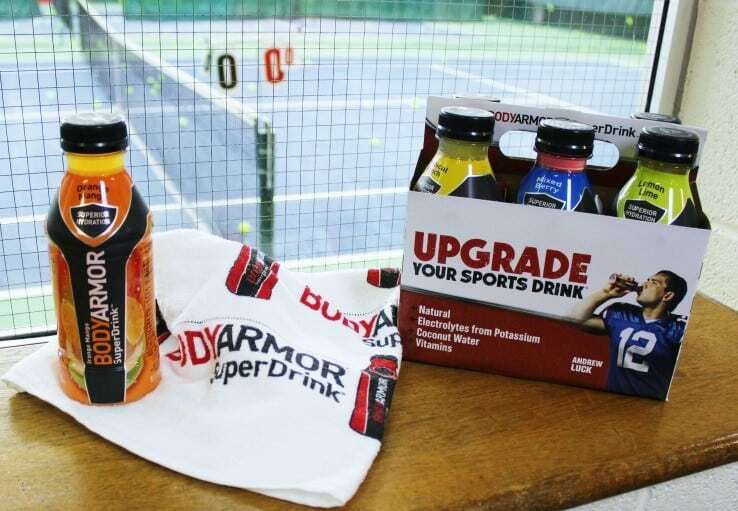 BODYARMOR Sports Drink offers 7 very tasty flavors: Mixed Berry, Fruit Punch, Strawberry Banana, Lemon Lime, Orange Mango, & Grape. I tried the Strawberry Banana and the Lemon Lime. Both were really good! My son loved the Fruit Punch & Orange Mango. We passed out a few extra bottles to some of my son’s teammates and a couple parents. They all agreed that it was great tasting and thirst quenching. And if you’re thinking what I thought when I was first introduced to BODYARMOR: There’s already a sports drink on the market that replenishes electrolytes, so why switch to BODYARMOR? That OTHER sports drink has a whopping 107 mg of sodium in an 8 ounce serving! BODYARMOR only has 15 mg of sodium in an 8 ounce bottle. That’s a LOT less sodium! ALSO, the competing brand only has 30 mg of potassium per 8 ounces. 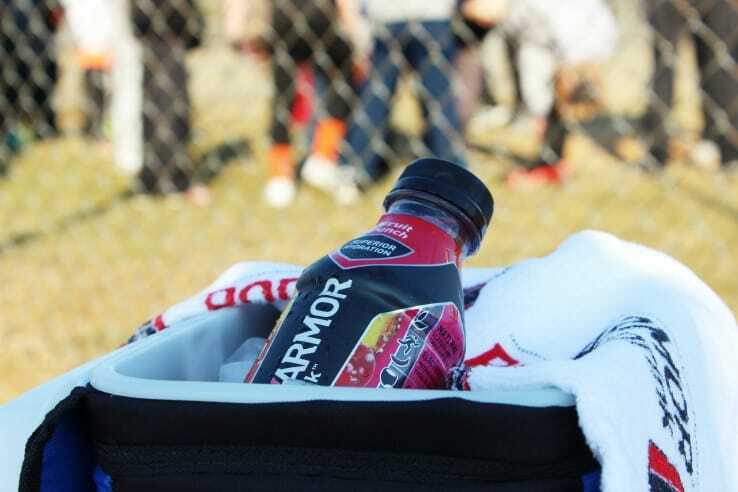 BODYARMOR has 300 mg of potassium in an 8 ounce bottle. 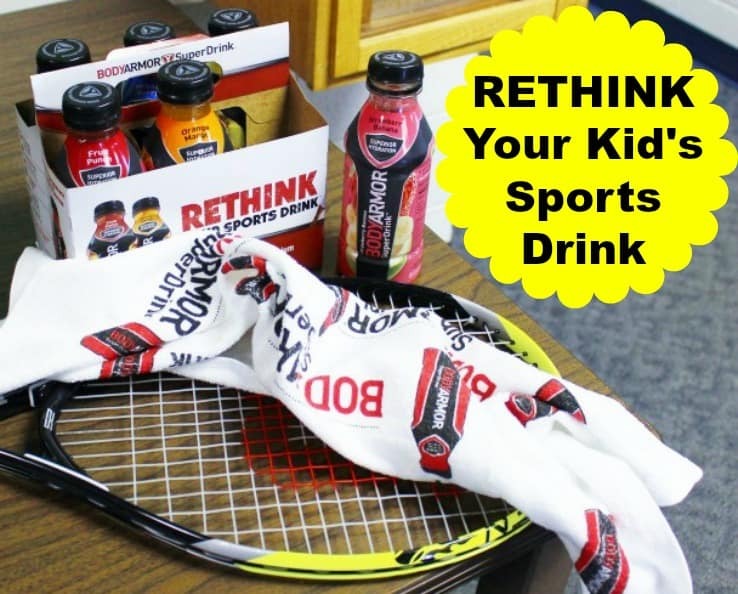 Add coconut water and vitamins to the mix and you’ll see why BODYARMOR Sports Drink is the better choice for your young athletes. 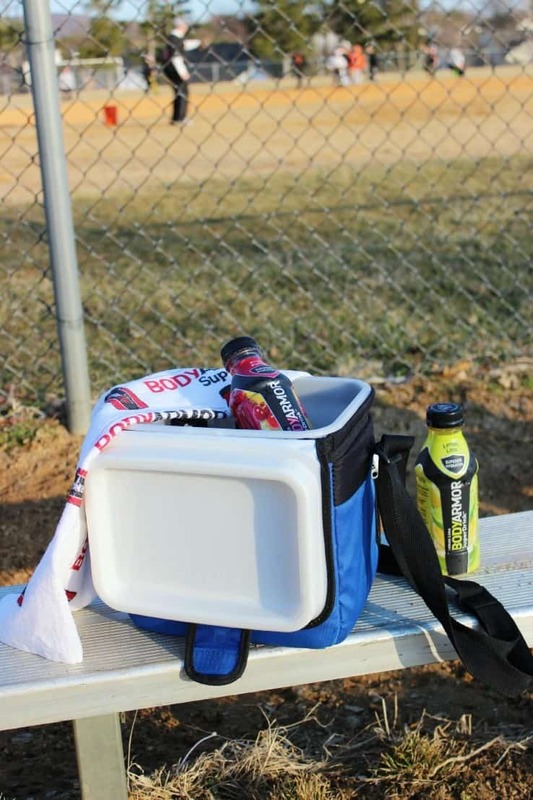 Where can you find BODYARMOR Sports Drink locally? 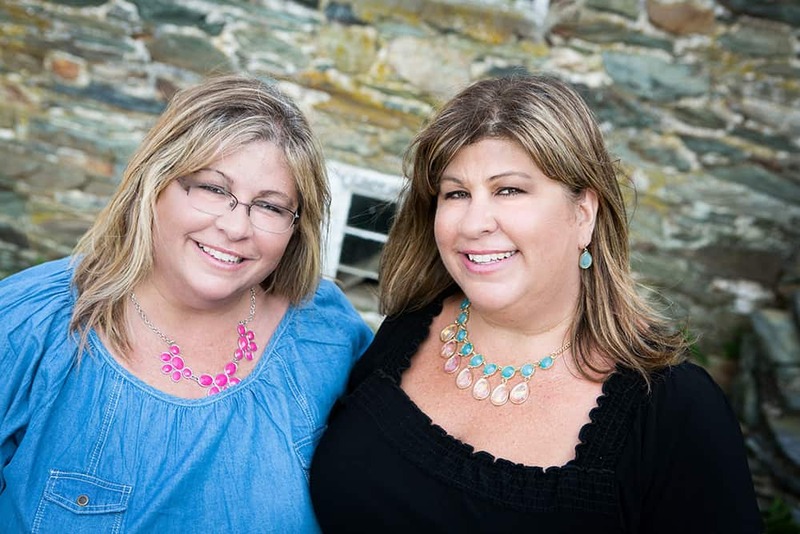 In Frederick, Maryland, you can find it at Target, Giant Eagle, and the Highs in Middletown. In the DC/Baltimore area, you can find it at Target, Wegmans, Mars, & Royal Farms. So try it for yourself! Here’s a coupon that will save you $1.00 on 2 bottles of BODYARMOR Sports Drink. I feel so much better giving my son and his teammates an after-game drink that will actually do them some good as opposed to just giving them a sugar rush. 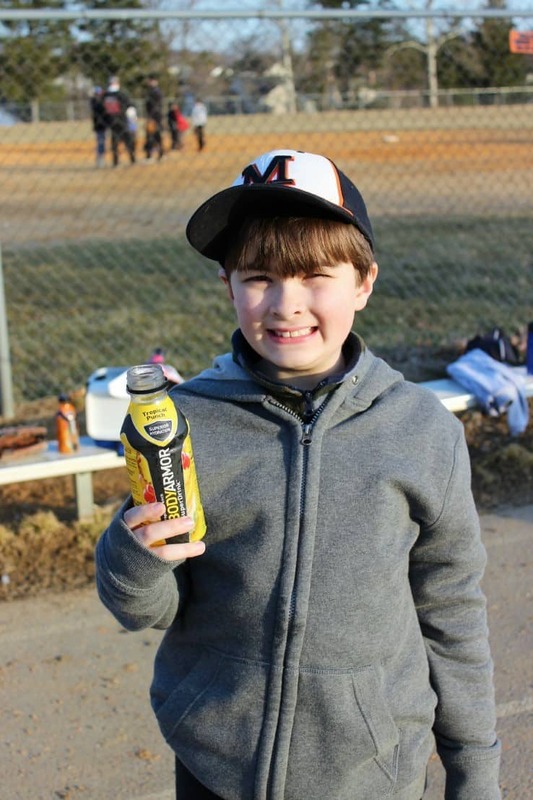 BODYARMOR Sports Drink gets the stamp of approval from my little superstar! “Keeping it Real” by posting opinions based on paychecks. Nice. I only promote products I stand behind and believe in. That’s how I keep it real. If I don’t truly believe in a product, I won’t post about them. I am going to tell my husband about this. He drinks sports drinks all the time,. I had no idea Under Armour did a sports drink! That’s great to hear they don’t use any artificial sweeteners. They are so bad for us, let alone our growing kids! That’s nice to learn they also have coconut water, since it’s the best natural replenisher. I think anonymous might be a little jealous. Maybe another blogger whose site isn’t as good as yours or whatever. Or maybe just a bitter person. C’mon Man!!! I’m not a huge advocate for sports drinks, but my husband drinks them all the time. I would definitely have him try this one over the ones he gets. Thanks for sharing. Thanks Mabi! There’s a link in the post for $1 off of 2 bottles if your hubby wants to try them out. My kids became acquainted with Gatorade last summer at camp, but this sounds so much healthier. We are going to try this as we start our summer activities. Yay, summer is almost here! Sone is a huge fan of water. but i bet he would love these. This sounds like a great drink. Something that should take care of sport players. I think I’d like the fruit punch and orange mango too. This would be great for soccer. This is perfect for all the summer activities the kids will be into. Never heard of this brand. I’ll have to keep an eye out for it in Target. 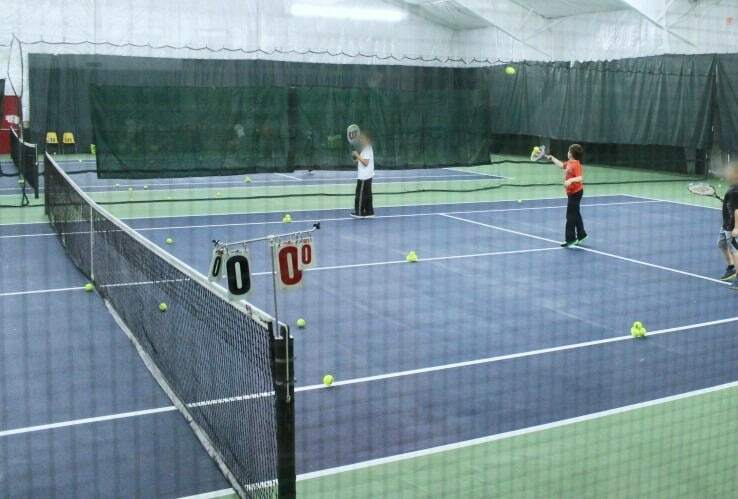 Great review- it’ nice to know that there are other options out there. I have never heard of these before. I need to find these for when my boys football season starts back up! I would love to try this! the OTHER sports drink is the one I typically drink, although I am not a fan of the amount of sodium that it contains, but need the potassium. You sold me when you listed the amount of potassium in this drink. I have one concern, however, I have tried coconut water and didn’t care for it. These look way better than the sugary sports drinks that are commonly consumed. Will have to give these a try! I had no idea under armour made sport drinks. You learn something new everyday. My kids love these. We had them the other day at a cheer practice. Hopefully I can find this at the Target in Germantown. I would definitely like to try them. Thank you Pam! Dominic looks so cute in the pictures!!! Aw, thanks Cheryl! They’re really tasty and great for after working out. I found them in the Target in Frederick.